We have 3 floors, 6 Executive Room lavishly furnished and aesthetically designed. We have facilities like Restaurant, Lift, Transformer, DG, Banquet Facilities, Conference Room, Security Guard, Meeting Rooms, and Facility for events. We have a huge parking space for guests and visitors. We provide 24 hour electricity and water supply. We have balcony on each room. All rooms are Vastu compliant. We have huge space at corridor. Kids will enjoy to play and guests will feel comfortable like home. We have enough space at roof which can be used for any events or party. Our generously sized Executive Room feature elegant furnishings accented with luxuriant fabrics. Measuring up to 144 sqft , spacious marble bathroom with queen size bed. Each room has AC, TV, furniture, wardrobe, safety boxes. 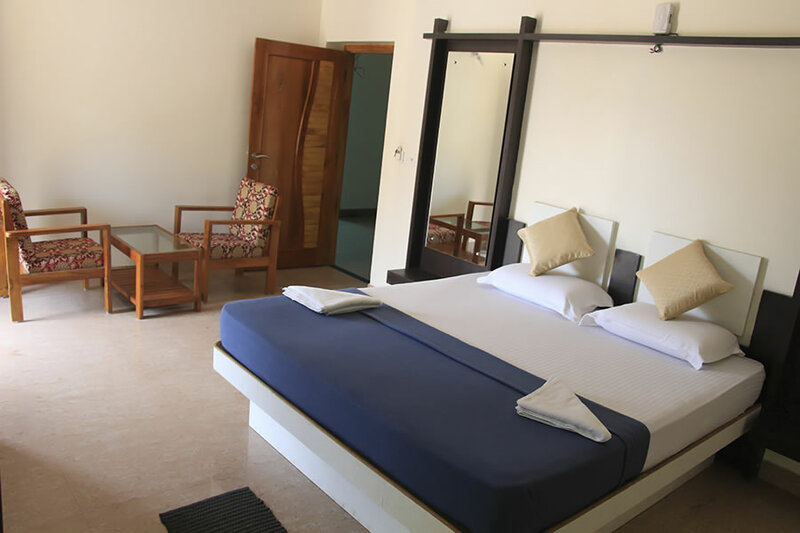 Room size is huge and guests can enjoy their stay at our Residency.